Pictured: (L-R back row) Sony Red’s Dewayne Brown, Webster PR’s Kirt Webster, Paradigm’s Brian Hill, Butch Waugh, Star Farm’s Matt Corbin, Conway Ent. Group’s Tony Conway, Paradigm’s Bob Kinkead and Star Farm’s Michael Powers. NASHVILLE, Tenn. (December 1, 2014) – What do you get when you take one of Nashville’s biggest all-star lineups of music professionals and partner them up with one of the hardest working acts in the business? You call that Reviver Records, which opens up its’ Nashville operation today. Longtime music industry executive David Ross will lead the team at Reviver as President/CEO. With a career history that began at Alpha Distributors and has flourished over the years with stops at S* Management, College Music Journal, and Vertis, Ross has helped add pages to the legendary careers of such acts as Kenny Rogers, Dolly Parton, Alabama and The Judds. Ross leads a team that includes some of the most successful members of the Nashville music community. Butch Waugh – who built his name during a decades-long run at Sony, will serve as strategic advisor to Reviver. Waugh has been a key player in the career story of such country acts as Carrie Underwood, Alabama, Kenny Chesney, and Martina McBride as well as Bruce Hornsby and The Dave Matthews Band. Longtime promotion veterans Michael Powers and Matt Corbin (from Star Farm Nashville) will lead Reviver’s charge at radio, while Kirt Webster (from Webster Public Relations) currently handles publicity for LOCASH. 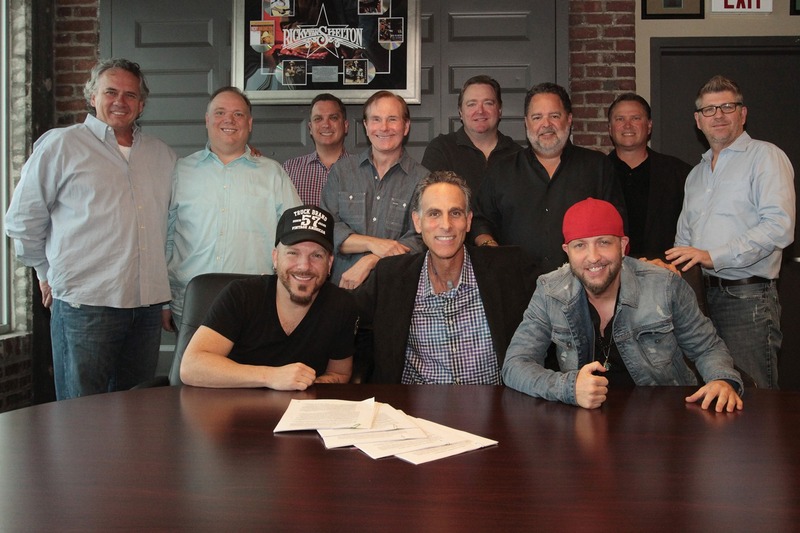 Industry favorites LOCASH (formerly known as The LoCash Cowboys), who have already gained airplay with singles such as “Here Comes Summer,” “Keep In Mind,” “C.O.U.N.T.R.Y.,” and “Best Seat In The House,” are among the initial artists signed to the Reviver roster. Their most recent album, a self-titled effort, made it to the top half of the genre-encompassing Billboard 200 album chart. Chris Lucas and Preston Brust, who comprise the duo, have also written chart hits for Tim McGraw (“Truck Yeah”) and Keith Urban (“You Gonna Fly”). Working with LOCASH will be Nashville power manager Tony Conway and Paradigm Talent Agency’s Bob Kinkead will handle booking for the duo. Distribution for the label will be handled through Dewayne Brown at Sony RED. Reviver Records, LLC is based in New Jersey and is comprised of the record label, Reviver Music, and a Production and Management Company.